Here’s the low-down. 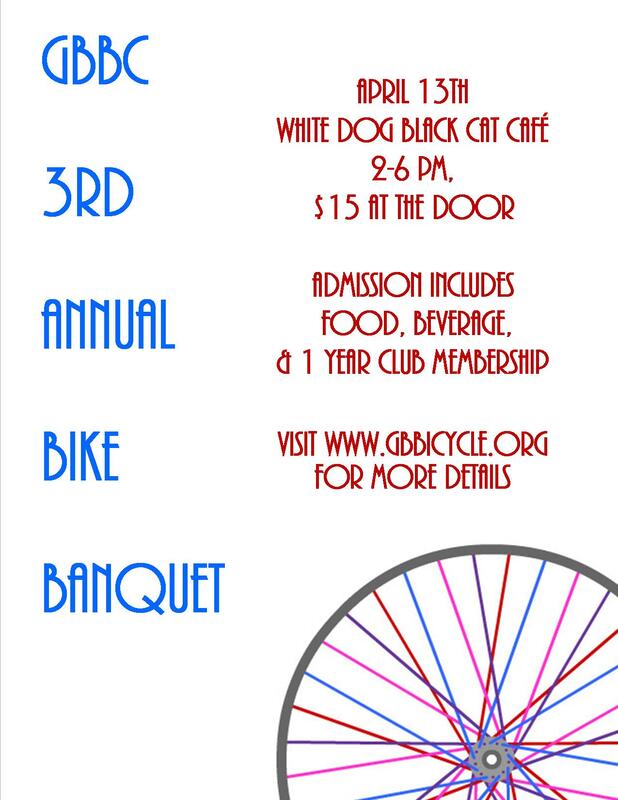 The Bike Banquet doesn’t start until 2pm at the White Dog, so how about a bike ride before? We’ll meet at Hagermeister Park at noon, have a beverage, then meander our way to White Dog for the festivities. We moved the banquet to April so we could spend more time outside (mother nature has quite the sense of humor). Included in the festivities will be a bike sale (not bake), a slow race, a bike polo demonstration, and we’ll be raffling off a bike that we’ve rebuilt (wait ’till you see it)! We’ll also let you know about some of our community outreach this year, including bike rodeos, workshops, and open meetings. High fives all around folks! We wouldn’t be here with out ya…cheers!